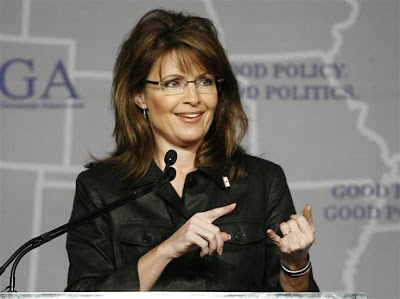 Sarah Palin has the kind of influence that equates to power, plain and simple. I engaged in a Twitter conversation yesterday with an anti-Palin, pro-Obama guy. The crazy thing about it is we both went for the jugular, and when it was over, it was like, “All right, catch you later, brother.” “Yep, catch you later, sis. I enjoy debating you.” In other words, hey…it’s all good. I’ll keep fighting, and I have a feeling, he will too. Now what was I talking about? The president did a Town Hall meeting in New Hampshire a couple days ago…and I was just waiting for it. Sure enough, it came. He couldn’t help himself. He just had to refer to Sarah’s “death panel” statement. I was waiting, and I wasn’t disappointed. Sarah is SO in his head, it’s ridiculous. Although the White House continues to say that they waste not one moment thinking about Sarah Palin, the truth is you can’t keep quoting someone you’re not paying attention to–and then to quote her in a Town Hall meeting! I mean, we knew she was in his head during the campaign, but she has gotten more powerful after losing the election! So anyone who says that Sarah is insignificant is just being dishonest. 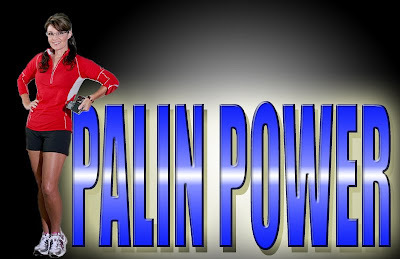 More importantly, anyone who states that President Obama is not paying attention to Sarah Palin is underestimating him. Yes, underestimating him, not Sarah. Why do I say that? It’s simple: If he’s just half as smart as people say he is, and if he is the politician he appears to be, he’d have to be paying attention to her because he’d be stupid not to. And President Obama may be many things, but stupid is not one of them. Besides, like I said, if he’s not, then he must be a magician because he manages to quote someone he never thinks about! Well, after Sarah caused such a stir with her statement about “death panels,” after the Obama media got all bent out of shape about it, after the president found it necessary to deny it by misrepresenting what she said as “pulling the plug on Grandma,” we find out yesterday that the end of life provision has now been removed from bill! Now that’s what I call influence. Of course, the president and his people are paying attention to Sarah. When the woman can type something on her Facebook page and get a provision removed, well, what would you call that?! Today radio talk show host and author, Tammy Bruce, called Sarah the 101st senator of the United States because she can “type, type, type, send, and get a change in the Health Care Bill!” Yep, that about says it. But I can do even better than that: Sarah is not only the 101st senator, she’s the magician, for how else could she issue a statement that makes Congress remove something that they said wasn’t in there to begin with?! WASHINGTON – Key senators are excluding a provision on end-of-life care from health overhaul legislation after language in a House bill caused a furor.Senator Chuck Grassley of Iowa, top Republican on the Senate Finance Committee, said in a statement Thursday that the provision had been dropped from consideration because it could be misinterpreted or implemented incorrectly. Congress; however, that provision was not the only disturbing detail in this legislation; it was just one of the more obvious ones. Read the rest here, along with the sources she cites. Sarah Palin has chosen to bypass the mainstream media for now, the media that is so clearly in the tank for Obama, and she’s simply utilizing social networking sites to get her message out–and Tammy Bruce is correct: All Sarah has to do is type and hit send–and it’s all over. Who would have thought one could use Facebook to help win this health care battle? It is clear that Sarah knows more about this Health Care Bill than members of Congress. She knows what she’s talking about, and she is studying experts on the issue. I have one more thing to say: I bet you those on the far Left regret that Sarah was ever asked the demeaning question, “What do you read?” you know, the question she chose to ignore. Hey, Katie, now you have a whole list of her reading material–and you and the Obama administration don’t like it too much, do you?! This referenced article by James Taranto article speaks extensively about Governor Palin’s two victories in the health care debate this week. 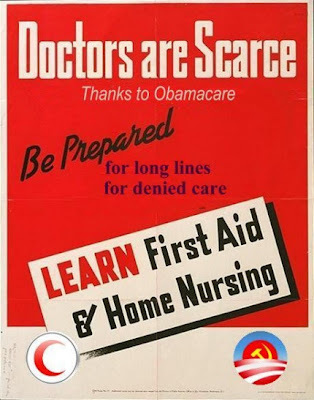 The first victory was to establish and prove the thesis that Obama’s socialized health care plan will lead to rationing. Rationing will cut care to those who are deemed of least economic benefit to society. That victory was followed by a legislative one…the Senate Finance Committee removed the “end-of-life” provision from the health care bill. Taranto delineates both victories in detail and shoots down the canard that Sarah Palin somehow has a limited intellect. Quite the contrary, Taranto establishes what we at Accomplishments have known for a long time — that Sarah Palin is very highly intelligent and astute. Click the URL in the reference to read the article. It will spawn a new window or tab depending on your browser configuration. WASHINGTON – Key senators are excluding a provision on end-of-life care from health overhaul legislation after language in a House bill caused a furor. Senator Chuck Grassley of Iowa, top Republican on the Senate Finance Committee, said in a statement Thursday that the provision had been dropped from consideration because it could be misinterpreted or implemented incorrectly…. It was only seven days ago that Sarah Palin published a five-paragraph statement on her Facebook page that included two words to describe a questionable provision in the House version of the health care reform bill (HR 3200). Those two words “death panel” set off an instant media firestorm that even caused Obama to twice address the issue himself. While we can all debate the accuracy of Palin’s statement and her choice of words, we cannot debate the effect it had on focusing attention on the end-of-life provision within HR 3200. Sarah Palin is keenly aware of the media’s dislike of her. She knew that by using sharp words in a shocking statement would set the media off on a new onslaught against her. In doing so, the media inadvertently focus the entire nation on the end-of-life provision within HR3200. Once the nation started looking at the concept of government involved in end-of-life decisions, a new image emerged of what government run health care would mean, and the people liked it even less. Some might say that calling Sec. 1233 of HR3200 a “death panel” was hitting below the belt, but when you consider some of the underhanded tactics being used to sell Obamacare it seems pretty fair. Sarah Palin understands that Obama and the Democrats are not playing by Marquess of Queensbury rules and therefore has adapted her own set of political street fighting rules. Now that Palin has won round one, we all wait to see what her next move is and right on cue, you can read her latest Facebook statement here. Following is Governor Palin’s statement of August 14, 2009, as posted on her FaceBook account. It addresses the removal of “end of life consultations provisions” from the bill. I join millions of Americans in expressing appreciation for the Senate Finance Committee’s decision to remove the provision in the pending health care bill that authorizes end-of-life consultations (Section 1233 of HR 3200). It’s gratifying that the voice of the people is getting through to Congress; however, that provision was not the only disturbing detail in this legislation; it was just one of the more obvious ones (Palin, 2009, ¶1). As I noted in my statement last week, nationalized health care inevitably leads to rationing. There is simply no way to cover everyone and hold down the costs at the same time. The rationing system proposed by one of President Obama’s key health care advisors is particularly disturbing. I’m speaking of the “Complete Lives System” advocated by Dr. Ezekiel Emanuel, the brother of the president’s chief of staff. President Obama has not yet stated any opposition to the “Complete Lives System,” a system which, if enacted, would refuse to allocate medical resources to the elderly, the infirm, and the disabled who have less economic potential. Why the silence from the president on this aspect of his nationalization of health care? Does he agree with the “Complete Lives System”? If not, then why is Dr. Emanuel his policy [adviser]? What is he advising the president on? I just learned that Dr. Emanuel is now distancing himself from his own work and claiming that his “thinking has evolved” on the question of rationing care to benefit the strong and deny the weak. How convenient that he disavowed his own work only after the nature of his scholarship was revealed to the public at large (Palin, 2009, ¶2). A single-payer health care plan might be what Obama would like to see, but is it what the rest of us would like to see? What does a single payer health care plan look like? We need look no further than other countries who have adopted such a plan. The picture isn’t pretty. 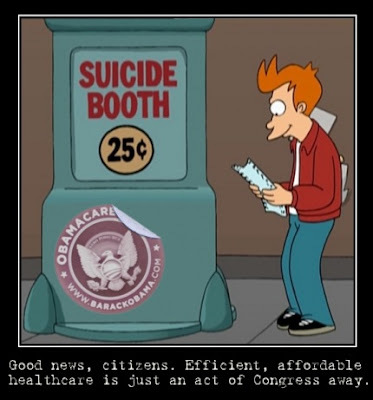 The only way they can control costs is to ration care. As I noted in my earlier statement quoting Thomas Sowell, government run health care won’t reduce the price of medical care; it will simply refuse to pay the price. The expensive innovative procedures that people from all over the world come to the United States for will not be available under a government plan that seeks to cover everyone by capping costs (Palin, 2009, ¶5). I agree. Last year, I issued a proclamation for “Healthcare Decisions Day.”  The proclamation sought to increase the public’s knowledge about creating living wills and establishing powers of attorney. There was no incentive to choose one option over another. There was certainly no financial incentive for physicians to push anything. In fact, the proclamation explicitly called on medical professionals and lawyers “to volunteer their time and efforts” to provide information to the public (Palin, 2009, ¶9). Comparing the “Healthcare Decisions Day” proclamation to Section 1233 of HR 3200 is ridiculous. The two are like apples and oranges. The attempt to link the two shows how desperate the proponents of nationalized health care are to shift the debate away from the disturbing details of their bill (Palin, 2009, ¶10). Dr. Elmendorf went on to note that this health care legislation would increase spending at an unsustainable rate (Palin, 2009, ¶13). Our nation is already $11.5 trillion in debt. Where will the money come from? Taxes, of course. And will a burdensome new tax help our economy recover? Of course not. The best way to encourage more health care coverage is to foster a strong economy where people can afford to purchase their own coverage if they choose to do so. The current administration’s economic policies have done nothing to help in this regard (Palin, 2009, ¶14). Health care is without a doubt a complex and contentious issue, but health care reform should be a market oriented solution. There are many ways we can reform the system and lower costs without nationalizing it (Palin, 2009, ¶15). Those are real reforms that we can live with and afford. Once again, I warn my fellow Americans that if we go down the path of nationalized health care, there will be no turning back. We must stop and think or we may find ourselves losing even more of our freedoms (Palin, 2009, ¶18). Governor Palin addresses these core issues with her statement: nationalized health care will lead to rationing. Rationing will cut care to those who are deemed of least economic benefit to society. A government run health care system is not free. It must be paid for and the necessary result is higher spending and higher taxes — the exact opposite of what we need for economic growth. Governor Palin delineated one of several market-oriented solutions to reforming our health care system. Further, though end-of-life consultations has been removed from the bill, the core ideology of “Complete Lives” is and remains the underpinning of Obama’s health care plan. The difference between Governor Palin and Obama could not be more stark. Reagan Conservatism, and a culture that respects life and human dignity underpins her thought process. Obama advocates socialism, communism and a culture that only values life and human dignity to the extent that it provides a stated level of benefit to society. Obama and his administration are advancing a culture of death. As with her prior statements, Governor Palin has backed up her statements with references and evidence proving her thesis. Her strategy of posting these statements on her FaceBook page and bypassing the mainstream media is nothing short of brilliant — considering that they usually get even the most basic facts wrong.